BIOL 100 SURVEY OF BIOLOGY • 5	Cr. BIOL 100L SURVEY OF BIOLOGY • 5	Cr. BIOL 105L INTRO TO CELL BIOLOGY, LAB • 2	Cr. For students accepted into the nursing program who have taken BIOL 105 (3 credits). BIOL 105L (2 credits) contains all the additional content (all the labs and the new lecture topics) that is now included in the 5-credit BIOL& 160L. The combination of BIOL 105 and BIOL 105L is identical to BIOL& 160L. BIOL 150L INTRODUCTION TO MARINE BIOLOGY • 5	Cr. BIOL 160L GENERAL BIOLOGY WITH LAB, CELL BIOLOGY EMPHASIS • 5	Cr. BIOL 161L GENERAL BIOLOGY I • 5	Cr. BIOL 162L GENERAL BIOLOGY II • 5	Cr. BIOL 221 ECOLOGY AND EVOLUTION • 5	Cr. BIOL 221L ECOLOGY AND EVOLUTION • 5	Cr. BIOL 222 BOLECULAR AND CELLULAR BIOLOGY • 5	Cr. BIOL 222L MOLECULAR AND CELLULAR BIOLOGY • 5	Cr. BIOL 223 CIP CODE USE ONLY • 5	Cr. BIOL 223L ORGANISMAL BIOLOGY • 5	Cr. BIOL 241 HUM ANAT & PHYS-LECTURE • 0	Cr. BIOL 241L HUMAN ANATOMY AND PHYSIOLOGY I • 5	Cr. BIOL 242 HUMAN ANATOMY & PHYSIOL II • 0	Cr. BIOL 242L HUMAN ANATOMY AND PHYSIOLOGY II • 5	Cr. BIOL 260 MICROBIOLOGY • 0	Cr. BIOL 260A TECHNIQUES IN FIELD ECOLOGY • 2	Cr. Students will study native and invasive reptile and amphibian species and their distribution in Florida and conduct population level studies of selected species. In addition to herpetological species, observations will be made of native and invasive species of other taxa (especially invasive plant, bird, and fish species) at these sties. BIOL 260L MICROBIOLOGY • 5	Cr. BIOL 265 SPECIAL TOPICS IN BIOLOGY • V1-3 Cr. BIOL 281 ECOLOGY • 5	Cr. BIOL 281L ECOLOGY • 5	Cr. BIOL 282 TROPICAL ECOLOGY RESEARCH • 5	Cr. BIOL 282L TROPICAL ECOLOGY RESEARCH • 5	Cr. BIOL 290 UNDERGRADUATE RESEARCH IN BIOLOGY • V1-5 Cr. BIOL 290A RESEARCH TOPICS IN BIOLOGY • V1-5 Cr. BIOL 290B RESEARCH TOPICS IN BIOLOGY • V1-5 Cr. BIOL 290C RESEARCH TOPICS IN BIOLOGY • V1-5 Cr. BIOL 290D INTRODUCTION TO ELWHA RESEARCH • 5	Cr. Overview and applied introduction to scientific research associated with the Elwha River Restoration Project. REU stipend students only. Contact instructor to register. dwightb@pcadmin.ctc.edu or 417-6586. BIOL 290E RESEARCH TOPICS IN BIOLOGY • V1-5 Cr. BIOL 290F UNDERGRADUATE RESEARCH • 5	Cr. Overview and applied introduction to methods in scientific communication and research associated with the Elwha River Restoration Project. BIOL 290G ELWHA FIELD RESEARCH • V1-5 Cr. Directed field and lab research associated with the Elwha River Restoration Project. REU stipend students only, registration code required. Cross-listed with ENV 290G. BIOL 290H ADVANCED ENVIORMNMENTAL FIELD RESEARCH • V1-5 Cr. REU stipend students only. Cross listed with ENV 290H. Instructor signature or entry code re1uired. BIOL 290I RESERCH IN MYCOREMEDIATION • V1-2 Cr. Students will participate in experimental design, data collection, analyses, interpretation and reporting. Experiments will be related to the fungal degradation of environmental contaminants and surrogates thereof. Students will gain experience in preparing stock solutions, dilution series, operation of analytical instruments, sterile culture methods, etc. Reading will be assigned from primary research literature. Prerequisite: 1 year of chemistry or instructor's permission. BIOL 290J INTRO TO BIOLOGICAL FIELD RESEARCH • V1-5 Cr. Students werve as active members on research teams working to advance knowledtge in biological and environmental science. Students will participate in data collection, analysis, and presentation of research results. Prereqisite: current REU students only. BIOL 290K ELWHA RESTORATION PROJECT: COASTAL SEDIMENTS • 2	Cr. Student will learn scientific data collection techniques, data analysis, scientific paper writing techniques, grant writing skills and will make important contacts in the local scientific community. BIOL 290M SCIENTIFIC COMMUNICATION AND RESEARCH • V1-5 Cr. Written, oral, web, and multimedia techniques in the communication of scientific projects and ideas in biology, ecology, geography, and environmental science to lay audiences. Prerequisite: ENGL 102 and any lab science course (may be taken concurrently). 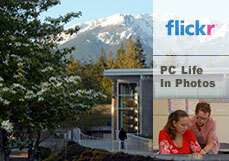 Contact instructor at dwightb@pcadmin.ctc.edu for registration code. BIOL 290N GIS FOR FIELD BIOLOGY • 5	Cr. Data collection, management, analysis, and presentation using GPS/GIS data loggers and ArcGIS software to design projects, import, collect, rectify, and analyze data and present results in cartographic form for applications in field biology. Cross-listed with ENVS 290N. BIOL 290P MOLECULAR TECHNIQUES AND MRSA • V1-5 Cr. Students will characterize different strains of multi-drug resistant Staphyliococcus aureus (MRSA) in an on-going project between Peninsula College and Olympic Medical Center. BIOL 290T FIELD INVESTIGATIONS IN NEARSHORE TOPICS I • V1-4 Cr. Students will earn credit for participating in collaborative, multiagency project administered by Coastal Watershed Institute. Students will work with one or more research mentors on research of nearshore fisheries, sediment analysis, and nearshore macroinvertebrate analyses. Students will learn skills and content related to the research project(s) in which they participate. BIOL 290U FIELD INVESTIGATIONS IN NEARSHORE TOPICS II • V1-4 Cr. Continuation of BIOL 290T: Students will earn credit for participating in collaborative, multiagency project administered by Coastal Watershed Institute. BIOL 290Y FIELD INVESTIGATIONS IN NEARSHORE TOPICS III • V1-4 Cr. Continuation of BIOL 290U: Students will earn credit for participating in collaborative, multiagency project administered by Coastal Watershed Institute. BIOL 290Z FIELD INVESTIGATIONS IN NEARSHORE TOPICS IV • V1-4 Cr. Continuation of BIOL 290Y: Students will earn credit for participating in collaborative, multiagency project administered by Coastal Watershed Institute. BIOL 291 UNDERGRADUATE RESEARCH IN BIOLOGY • V1-5 Cr. BIOL 291A MUSEUM COLLECTION RESEARCH AND MANAGEMENT • V1-3 Cr. BIOL 291B MOLECULAR BIOLOGY RESEARCH • V1-2 Cr. Biology research. Students will learn and us molecular techniques including DNA extraction, PCR, and gel electrophoresis. Samples of fish will be analyzed and results of sequencing examined. BIOL 291C ELWHA LAKE BED RESTORATION RESEARCH • V1-2 Cr. Students will work with Olympic National Park restoration specialists on projects aimed at successfully revegetating exposed lake beds on the Elwha River. Students will learn restoration techniques and use this knowledge and skill to develop and conduct an experimental field study. The product for evalution and assessment will be a research report in written and/or verbal format. For each credit earned, the student must complete at least 33 hours of work per quarter. This class will include students from multiple sections. BIOL 291D ELWHA LAKE BED RESTORATION RESEARCH II • V1-2 Cr. Dam removal on the Elwha River presents unique opportunities to learn about forest development and restoration techniques in the Pacific Northwest. The Olympic National Park implemented an unprecedented revegetation program in conjunction with dam removal, planting over 300,000 trees and shrubs in an effort to accelerate forest development in the former reservoirs. Understanding how successful or necessary planting efforts were and how they might influence forest succession is critical to future dam removal and other salmon restoration projects. Learn how to conduct scientific surveys of young forests, identify native and non-native trees and shrubs and how to use the data to identify the factors driving forest development. This class will include students from multiple sections. (E) Prerequisites: ENGL& 101 or concurrent, eligibility for MATH 099. BOT 101L and BIOL 291C recommended but not required. BIOL 291E ELWHA LAKE BED RESTORATION RESEARCH III • V1-2 Cr. Dam removal on the Elwha River created a boon for plant enthusiasts! The revegetation project funded the construction of a beautiful new nursery, the Matt Albright Native Plant Nursery located in Agnew, Washington, that was responsible for producing over 300,000 trees, shrubs, and herbaceous plants and hundreds of pounds of seed. Through hands on training at the nursery with propagation specialist David Allen, learn how to propagate native plants from seed and live cuttings. Learn how to create "seed increase fields" to produce large quantities of seed for sowing along roadsides, degraded slopes, or other restoration projects. Plants produced for this class will be used for various revegetation projects in the Olympic National Park ranging from roadsides, riparian habitats to sub-alpine meadows. Students will conduct a research methods project using propagation techniques. (E) Prerequisites: ENGL&101 or concurrent, eligibility for MATH 099. BOT 101L and BIOL 291C r ecommended but not required. BIOL 291F OLYMPIC PENINSULA SHORELINE RESEARCH I • V1-3 Cr. Students will contribute to a growing body of research on the form and function of the shorelines of the Olympic Peninsula by developing and implementing an individual investigation or a guided research activity. Topics are individually developed to align with the interests of students, achieve learning objectives, & support investigations conducted by University of Washington, US Geological Survey, Olympic National Park, WA DNR, and others. Specific skills that students develop include: understanding and implementing the scientific method; managing time and prioritizing tasks in the field and lab; technical problem-solving; technical computing (Excel, Matlab, ArcGIS). Subjects covered include shoreline managment, coastal climate change, oceanography, marine ecology, sedimentology, and geomorphology. BIOL 291G OLYMPIC PENINSULA SHORELINE RESEARCH II • V1-3 Cr. Continuation of research from BIOL 291F. BIOL 291H OLYMPIC PENINSULA SHORELINE RESEARCH III • V1-3 Cr. Continuation of research from BIOL 291G. BIOL 291I ELWHA LAKEBED RESTORATION/PROPAGATION • V1-2 Cr. BIOL 292 UNDERGRADUATE RESEARCH IN BIOLOGY • V1-5 Cr. BIOL 293 UNDERGRADUATE RESEARCH IN BIOLOGY • V1-5 Cr. BIOL 294 UNDERGRADUATE RESEARCH IN BIOLOGY • V1-5 Cr. BIOL 295 SPECIAL PROJECT • V1-3 Cr. Students will be exposed to the biological diversity of different managed and natural rainforest habitats in the lowland, high canopied forests of Costa Rica; and will learn of the relationships between plants, animals, soil and water, and nutrient cycling within these habitats. Included will be an introduction to the basic theories and methodologies associated with studying the soil, water, and nutrient cycles, and the botanical and zoological diversity, density, and distribution within the different habitats. Students will have the opportunity to assist in research projects related to tropical environmental sciences. The course will be conducted at an ecolodge in Costa Rica. No prerequisites. Special fees apply. BIOL 323 CONSERVATION BIOLOGY • 5	Cr.